Having heard for a long time that Prague is the most Gothic city in Europe, last year I finally decided to ignore the nagging feeling that I would be disappointed, and took the plunge. 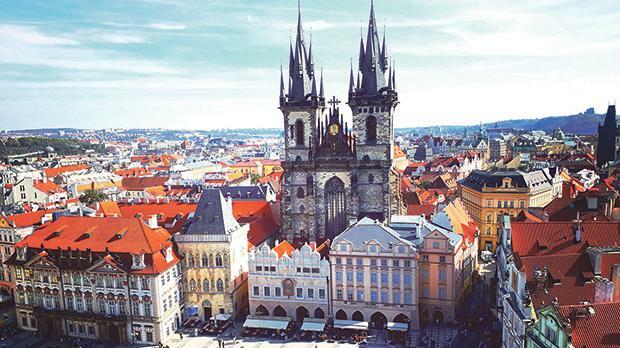 To give you an idea of the architectural richness of Prague, although this European hub is known as the ‘City of a Hundred Spires’, it was actually estimated that the city enjoyed 500 towers and spires until a few years ago. So, once there, be prepared to look up! The capital of the Czech Republic is a mish-mash of medieval Gothic architecture, Romanesque basilicas, Renaissance interiors and Baroque sculptures and statues. The ‘old town’, or historical centre of Prague, is a real treasure trove, straight out of a sultry ‘underworld’ movie – no wonder it has been included in the Unesco list of World Heritage sites for more than 25 years. Even if your trip to Prague is limited to just a few days, there are some experiences that are simply unmissable. The heart of the old town is certainly Prague Castle which, unlike the name suggests, is not just one castle but a complex of historical buildings, monuments and sites around a large square. It’s like a city within a city, comprising three courtyards, the lush royal palace with its famous Powder Tower, the magnificent St Vitus Cathedral and St George’s Convent, which houses a number of historical artistic pieces, not to mention a number of other palaces, such as the Lobkowicz Palace, that contain artistic exhibitions and private collections. If you haven’t realised yet, a couple of hours are certainly not enough to visit. I dedicated a whole day to the exploration of this landmark. Be prepared to walk, gawp and crane your neck. I urge anyone who visits to wear comfortable shoes. And don’t worry, in between bouts of climbing stairs and taking photos of the amazing views and architectural wonders, one can always take a break and relax in the beautiful Royal Garden, the Belvedere or the South Gardens. Be warned, however. The Castle complex is on top of a hill, which means that in order to get there you have to walk up many steps or up a long, steep road. On the plus side though, this means that there are some very beautiful panoramic views. Personally, my favourite part of the Palace complex is the so-called ‘Golden Lane’, where a conglomeration of small, medieval shops and tiny houses belonging to noted historical figures are to be found, literally on top of each other. These tiny vintage nooks offer not only medieval and post-war exhibitions, but also a number of diminutive shops selling hand-made unique items. The City of a Hundred Spires. Once there, be prepared to look up! Huts proclaiming to have been ‘the fortune-teller’s home’, or ‘the herbalist’s shop’ show you a slice of life during the 16th century, when the cramped street was most active. And, of course, don’t forget to take a look at the Prague Astronomical Clock, which can easily be found on the southern wall of the Old Town Hall in the square. Although some areas of the complex are free, such as the gardens, most of the buildings are not. I would suggest purchasing a block ticket which would allow you to roam wherever you like. 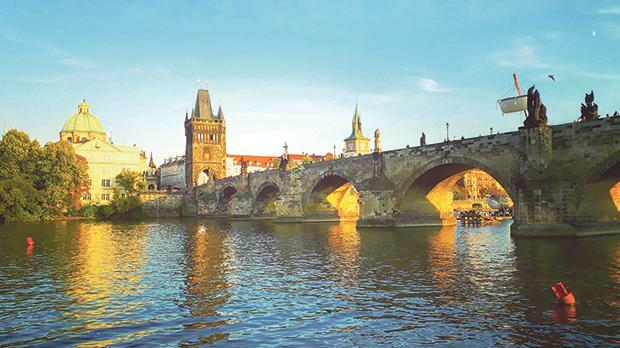 Apart from the historic fulcrum of the city, perhaps the most iconic symbol of Prague is the Charles Bridge. Constructed more than 250 years ago, this enormous arching bridge is portrayed in many movies. The stone bridge, which crosses the Vltava River, is adorned by a surprising number of baroque statues portraying saints and knights. I crossed the bridge both by day and by night – two two very distinct memorable experiences. This is another unique thing about Prague – at night it looks very different and magical. So, if you visit, make sure to stroll around the cobbled, winding streets at night too. I adventurously attended a four-hour walking ghost tour and, though my feet were falling off by the end of it, I would do it again if I had to revisit. There is so much to see in Prague apart from the Old Town. If you take the underground or a bus and venture a few streets away, you will discover the Jewish Quarter, which is well worth the effort. Located between the Old Town square and the Vltava river, the Jewish Quarter dates back to the 13th century, when the Jewish population of Prague was warned to vacate their homes and settle in one area. This happened throughout Europe; however, Prague’s Jewish Quarter in particular is known to be the most well preserved of the ‘Jewish ghettos’ in our continent. Testament to the Jewish presence in Prague, the Jewish Quarter comprises six synagogues, as well as the Old Jewish Cemetery. One can purchase a block ticket to visit all these sites, which are to be found within walking distance of each other. The golden-encrusted Spanish Synagogue is something to behold; no wonder it is known to be the most beautiful synagogue in Europe. Two other astonishingly beautiful attractions to be found in Prague are the Clementinum Library and the Strahov Monastery. A special treat for bookworms and booklovers, these two historical baroque buildings are not as easy to find as other attractions, but again, they are well worth a visit. The baroque library hall at the Clementinum contains some of the oldest, most precious and most expensive illuminated world globes, not to mention unique first-edition, ancient books and tomes, and magnificent frescoed walls and ceilings. The Strahov Monastery, originally founded as an abbey in the 12th century, does not only contain a historic frescoed library, but also various exhibitions relating to different periods of Prague. The bad news? Both the Baroque Library Hall at the Clementinum and the Theological Hall at the Strahov Monastery, which are the fulcrum of both places, are actually out of bounds. One cannot enter inside. However, you can look at them for as long as you like from outside the cordoned doorway and take pictures from there. 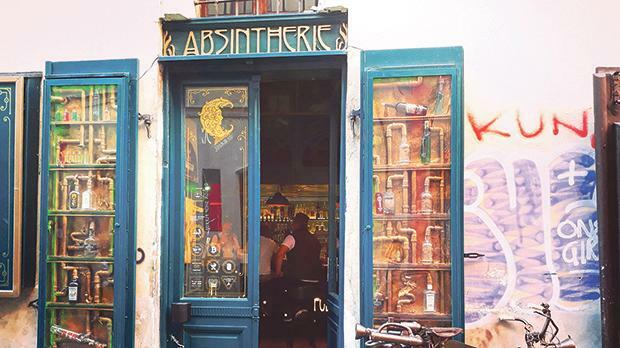 One cannot visit Prague without carousing for one evening at the decadent Absintherie. A mecca for all cocktail and drink lovers, the Absintherie Bar and Museum is a historical landmark offering more than 100 types of absinthe, as well as many absinthe-based cocktails and products. Known as ‘the green fairy’, absinthe is an alcoholic drink containing wormwood, fennel and green anise. Banned in certain countries, it was originally used in ancient Egypt for medicinal uses. Of course, its use and consumption changed over time. The Absintherie Museum contains a number of unique items on display and is features of the largest absinthe-related collections in Europe. Just a suggestion, if you visit the Absintherie, make sure to have a safe means of transportation back to your accommodation – one which does not require you to drive or take any intricate decisions!